After sell-out screenings in Sydney and Melbourne, an Audience Choice Award and a US Premiere at the prestigious Atlanta Film Festival, jj splice presents a special screening of Drown featuring an intimate, in-depth Q & A with director, cinematographer and producer Dean Francis in his own studio. Visit jj splice films in the heart of Surry Hills and watch Drown in comfort on the big screen in with a glass of wine. After the screening Dean will talk through the process of constructing the film from inception through to production and distribution. Audience capacity is limited to 30 and the discussion will go wherever the adueince takes it – including never-before-seen outtakes and deleted scenes. 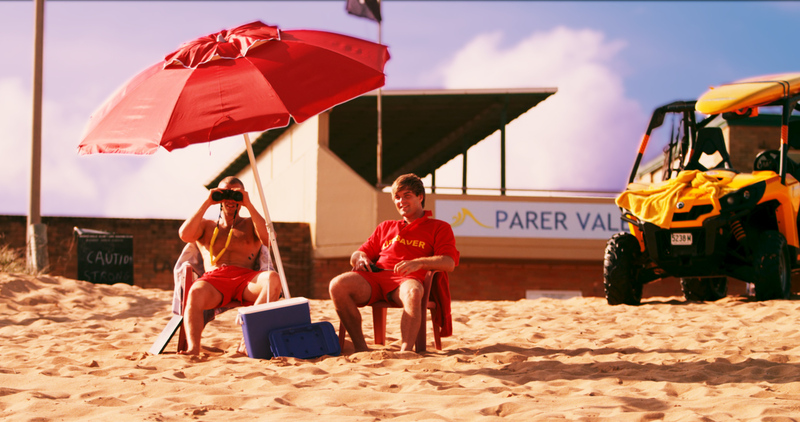 Synopsis: Len is a Surf Lifesaving champion, a legend in the cloistered surf club just like his father. But when the younger, faster, fitter Phil arrives at the club, Len’s legendary status starts to crumble. Then Len sees Phil arriving in the company of another man; a man Phil gives a farewell kiss to. Phil is gay. Over the summer season, Len starts to form unexpected, confusing feelings for Phil. When Phil de-thrones Len at the annual surf competition, Len and his buddy Meat take Phil out on an intoxicated bender through the seedy city. Jealousy, homophobic fear and unrequited lust culminate in a tragic late night trip back to beach where Len seeks total oblivion.